So much imagination and intellectual prowess has been devoted to finding technological solutions to climate change. A less visible but emerging set of solutions is being sourced out of people’s experiences of failed governance and public policy. The experience of communities world-wide is that their water, air, soil, and children’s health has been sacrificed for some abstract notion of the economy. People have been calling for a new ethic and new ways of making decisions. This call is exemplified by the recent People’s Climate March in New York. Can we apply the same imagination and intellectual power to how we will live together? The Climate March effectively announced to international political leaders that we the people have withdrawn our consent. Without the consent of the people governance devolves into either anarchy or dictatorship. The march was not held in Silicon Valley to ramp up technological solutions to climate change, it was held in the seat of economic and political power. Women’s voices are largely absent from the decision-making forums including the technology centers, venture capital pools, legislatures, courts, academia or the media. There are historical reasons for some of this. For instance, women weren’t allowed into Harvard until 1977, the year after I graduated from college. Men of that generation who went to prestigious institutions don’t know women who are their peers because they didn’t rub shoulders with them in their biology or law classes. But here’s a delightful secret, women have been rising up to claim their responsibility for the life they bring into the world. We will not cast our children and our grandchildren on the mercies of the dead hand of the free market. This is a new phase of the movement. In this issue we discuss the upcoming 2014 Women’s Congress for Future Generations – the second gathering of the Congress in Minneapolis, MN, November 7-9. You are invited! Men and women. This Congress follows the first Women’s Congress for Future Generations in Moab, Utah that created the Bill of Rights for Future Generations and Bill of Responsibilities for Present Generations. We will be adding to that Declaration with a Bill of Rights for Water that we will create together at the Congress. One focus of the Minneapolis event is water. SEHN Board member Rebecca Gasior Altman attended the first gathering of the Women’s Congress in Moab, UT in 2012, and will be joining the second gathering in Minneapolis, MN. In this issue she shares her story of why she is going to the 2014 Women’s Congress for Future Generations and how “the story of water is the story of us”. We share with you some clips from recent conversations I had with community members in Minnesota about the upcoming 2014 Women’s Congress. I speak about the power of withdrawing our consent to the things that don’t support life on this planet, and about women’s unique skills, vision and responsibility to create a new way forward. We hope you can join us in Minneapolis in November! And if you can't attend, but support this work, please consider making a donation to the Women's Congress to support scholarships for those who could use financial help to attend. SEHN Board Member Rebecca Gasior Altman writes about The Second Women's Congress for Future Generations, and our intimate relationships with water. Read her article here. 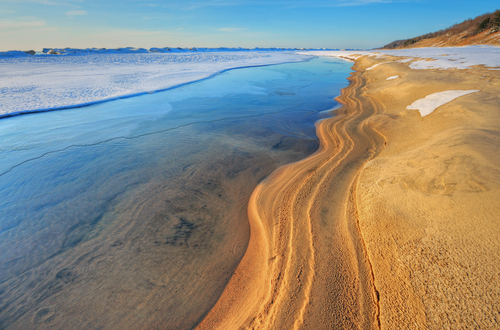 "...the Great Lakes have taught us a very important lesson about our place in the world. We are a way station in the great cycling of water. Water becomes bodies, becomes sperm. It becomes the blood shed by miscarriage, and the tears of a mourning woman. It becomes amniotic fluid, becomes cord blood becomes the body of the next generation. Water becomes the sweat of labor, becomes milk. Whatever water carries, it carries to and through us. Whatever is done to water is done to us. The violence committed through water wounds some more than others. But whatever is done to some of us is done to all of us. The story of water is the story of us." Great events based on big ideas change the course of history – think Seneca Falls, the March on Washington and the recent People's Climate March. The Second Women’s Congress for Future Generations is such an event, whose bold ideas and actions can change the course of history. Please join us November 7-9 in Minneapolis, MN, to create a healthier future. The Women’s Congress brings together some of the planet’s best thought leaders, scientists, activists and artists, for an event that will inspire ideas and energize action to truly shift the status quo. Participants will bring their experience, enthusiasm and real actions back into communities across the country, to create a civil rights movement for future generations. The Women's Congress will focus on the link between our economic system and environmental issues. The event connects women from all ages, backgrounds and cultural groups who are concerned about climate change, environmental and economic justice, and the health of our children. We are standing together, withdrawing our consent to a toxic future, and crafting a new way forward – together. The Women’s Congress for Future Generations is already receiving press coverage: Minnesota Women’s Press, On the Commons, and Global Alliance. Your voice is valued at the Women’s Congress for Future Generations. Please join us! Check here for more details. REGISTER NOW! A Gathering of Women: Setting New Policy Directions on Behalf of Future Generations. Watch SEHN Executive Director Carolyn Raffensperger address why the Women's Congress for Future Generations is important. Carolyn Raffensperger speaks about withdrawing our consent.